During the holidays Miss Hynes would take those evacuees who remained in Kettering on special trips. 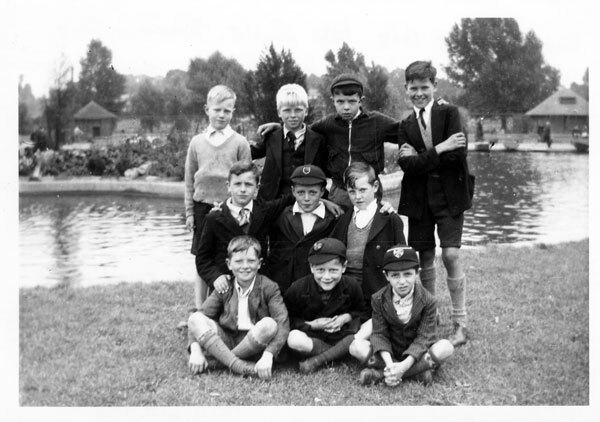 This is in Wicksteed Park July/Aug 1940. L-R. Back Row: Jock Dixey, Derek Walsh, John Winter, Rene Verbrugge. Middle Row: John Verbrugge, Jimmy Bradford, George Coombes. Front Row: John Topping, Tommy Bradford, Peter Bartolo.